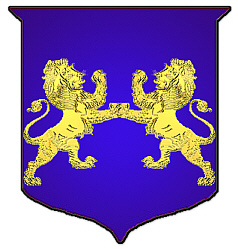 Coat of Arms: A blue shield with two gold lions combatant. First found in Winchester, where the CARTER family was seated from ancient times. 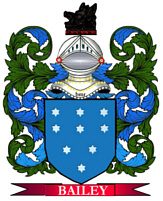 Some of the first settlers of this family name or some of its variants were: Ambrose Carter, who settled in Virginia in 1663; Thomas Carter and his wife Frances, who came to Philadelphia in 1685 with their children Thomas, Henry, Ann, and John, Chris Carter, who immigrated to St. John's, Newfoundland in 1705. 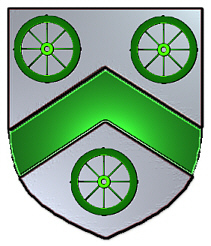 Coat of Arms: A silver shield with a green chevron between three green cart wheels.